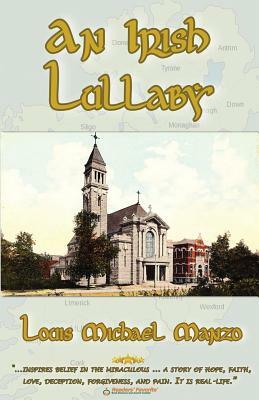 AN IRISH LULLABY DEPICTS HUMANITIES' SEARCH FOR RELEVANCY AND FULFILLMENT, SET AGAINST THE BACKDROP OF ONE OF THE MOST CONTROVERSIAL, MORAL, AND BURNING SOCIAL/CULTURAL ISSUES OF OUR TIME, ABORTION. As Father O'Connor, an aging priest at Saint Aloysius Parish, contemplates his legacy, Angela Sanchez, a troubled teen, sits in an abortion clinic awaiting her procedure. She is comforted by Aubrey Fitzgibbons, who is married to the church deacon but also serves as a leader in the local Planned Parenthood. Aubrey is conflicted between her obligations to the church and her responsibilities to Planned Parenthood. More complications arise when Aubrey becomes pregnant herself, triggering a serious medical condition that threatens her life. Doctors recommend abortion, but something incredible is about to happen. ..".It is so well written that you can hear the Irish brogue, taste the Irish whiskey, feel the deep-rooted bonds of friendship..."
..".The dramatic story portrays a balanced perspective of the politics and religious views pertaining to abortion." ..".Father O'Connor's endearing mannerisms captured my heart at the onset and never let go." ..".Louis Michael Manzo shows great skill in storytelling, weaving a tale that will keep readers enthralled. "An Irish Lullaby sings a timeless song; a memorable melody that will keep you humming and pondering its truth for a lifetime." ..".Manzo also has an aptitude for drawing emotion out of the readers; I found myself laughing out loud at times and shedding tears at other times."